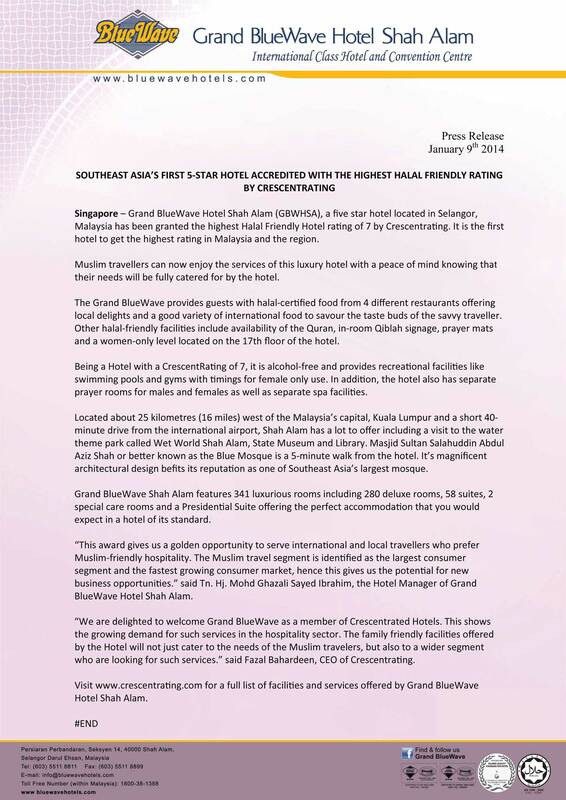 Grand BlueWave Hotel Shah Alam features 341 luxurious rooms including 280 deluxe rooms, 58 suites, 2 special care rooms and a Presidential Suite, the hotel has every thing a business traveler needs. Wide glass windows in each room offer a panoramic view of the majestic ‘Blue Mosque’ or garden city of Shah Alam. In addition, our BlueWave Club dedicates two entire floors to the businessman or woman. While the newly-open Ladies Floor provides extra security for discerning woman executives who are traveling alone.